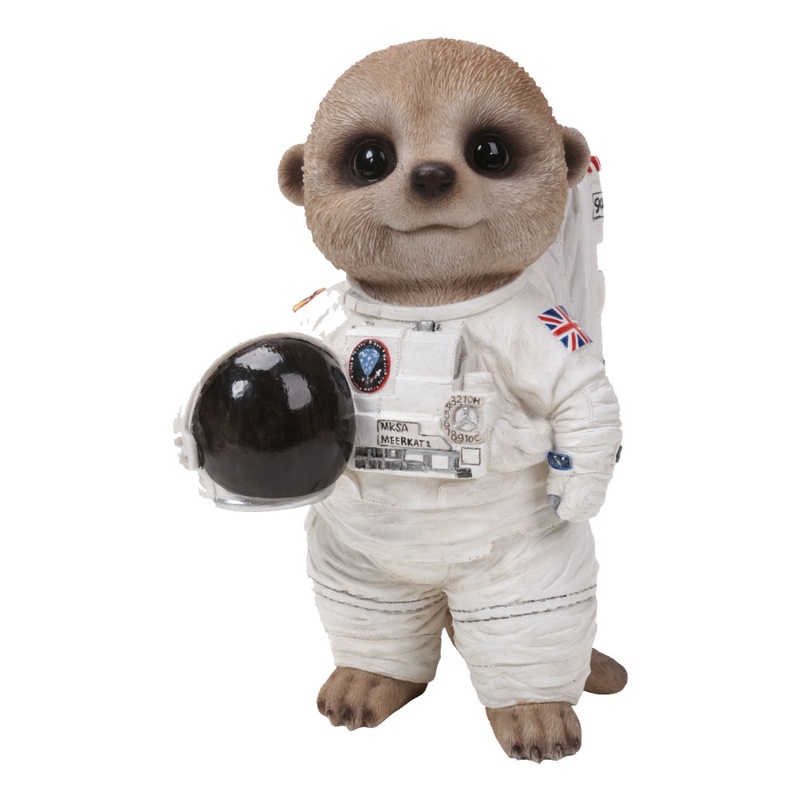 Vivid Arts Pet Pals Baby Meerkat Astronaut (Size 'D') highly collectable resin garden ornament, suitable for outdoor or indoor use. Frost proof and weather resistant hand finished figurine that is beautifully detailed and adorable. Comes complete with a gift box in a Pet Pal style carrier. A popular choice for a gift idea or as a personal garden ornament!